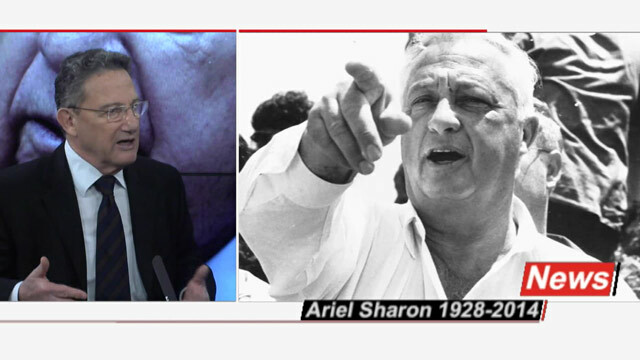 I never expected Ariel Sharon to be treated fairly by the mainstream media. I'd like to reiterate one point made by Prof. Jacobson in his post memorializing Sharon: Sharon's visit to the Temple Mount was not the cause of the so-called Second Intifada. Given how he had crushed the Palestinian guerrilla infrastructure in Gaza in the early 1970s, there was logic to his election. But there was a paradox, too. It was Mr. Sharon’s visit, in September 2000, accompanied by hundreds of Israeli police officers, to the holy site in Jerusalem known to Jews as the Temple Mount and to Muslims as the Noble Sanctuary, that helped set off the riots that became the second Palestinian uprising. Mr. Sharon’s controversial visit in September, 2000 to Jerusalem’s Temple Mount, or Noble Sanctuary, a site considered holy to both Muslims and Jews, helped trigger a second Palestinian uprising that smothered hopes for a final agreement between Israel and the Palestinians. Hamas has historically engaged in concerted efforts to brainwash its youth to wage violent jihad. Roughly 13,000 high school students participated in a week-long training camp geared to enable the teenagers "to follow in the footsteps of the suicide martyrs." This is more than twice the enrollment from last year's camp, the Times of Israel reports. The "Pioneers of Liberation" camp included weapons training, marching exercises, and "security awareness" classes concerning the identification of Israeli spies. John Kerry’s effusive optimism regarding the peace talks have been a source of concern not only to Netanyahu and the majority of his coalition government, but also to King Abdulla II of Jordan. The two leaders’ supposedly secret meeting on Thursday in Amman—which was made public almost immediately by the Jordanians—was devoted to one issue: Jordan is very unhappy about the possibility that Israel would take the IDF out of the Jordan Valley. The BBC, true to its constant practice and standard journalistic form, never identifies what kind of terrorism these two men were traveling to Syria to engage in. It is left to the reader to know, and of course, most will, though some of the leading lights in the British intelligentsia no doubt believe the Syrian anti-Assad "rebels" to be plucky freedom fighters and that anyone who thinks otherwise is a racist, bigoted "Islamophobe." Anyway, it's a good thing that British authorities banned Pamela Geller and me from entering the U.K., eh? If we had gone there, Muslims might have become so enraged by our "Islamophobia" that they would have gone to Syria to engage in jihad and then returned to Britain to wage more jihad. Now that we are banned, huzzah! The jihad terror threat in Britain is a thing of the past! During his long career, Ariel Sharon built a lot of roads. As housing minister in the early 1990s and as national infrastructures minister in the late 1990s, Sharon played a key role in building everything from the Trans-Israel Highway to access roads to isolated communities. Since he passed away on Saturday, his role in building Israel's national infrastructures has been widely noted. But no mention has been made of the final and most important road that he paved. That is the road to Israeli sovereignty over Judea and Samaria. Sharon's most controversial - and damaging - act was his decision in late 2003 to surrender the Gaza Strip to Palestinian terrorist organizations. The action, which involved not only withdrawing Israeli military personnel and transferring control over the international border with Egypt to the Palestinian Authority, but also forcibly removing 8,000 law-abiding, patriotic Israelis from their homes and farms and the bulldozing of their flourishing communities, was carried out in August 2005. The Daily Beast today conveyed statements by Abbas Araqchi, Iran's deputy foreign minister and its top nuclear negotiator, boasting that the concessions Iran has committed to making under the Joint Plan of Action (JPA) - and more specifically, its commitments regarding its stockpile of 20% uranium - can be reversed in one day. Iran has committed to halting enrichment to 20%, diluting half of its existing 20% stockpile to 5% levels, and converting the other half to an oxide form in which it can't be further enriched. A young Afghani girl has been detained by border police in Helmand province after attempting a suicide bombing. She told police that her brother, a local Taliban commander, had ordered her to carry out the attack. Her age is estimated at between 8 and 10. She was found in a state of "shock and confusion." The girl, named Spozhmai, told police that her brother Zahir, a local Taliban commander, had convinced her to attack a police station. He had threatened her with allegations of "illicit relations" with the police. She refused to wade across a cold river to carry out the attack and was beaten by her father on her return. Scared, she ran away from home, and handed herself into the police the next day. The Commander of border police in Lashkar Gah , Col. Hamidullah Sediqi, said: "She was forced by two Taliban commanders to wear the suicide vest and blow up the police base. "One of the commanders is her brother. As you can see, this innocent girl, she shouldn't be doing this. No one and no religion allows her to do this." Many of us who came from theocratic and patriarchal counties are wholly dependent on Canada's liberal, secular values to maintain our equality -- which others are working so tirelessly to curtail. Not even one women's group come out to lobby for women's rights or to remind the nation that a decision to support segregation is a slap in the face of equality. Reasonable accommodation is celebrating our holidays with joy; unreasonable accommodation is criticizing others who wish to say Merry Christmas and celebrate their cultures, too. Although Canada's diversity is usually touted globally, a clash of rights is now playing itself out. Israel’s envoy to Sweden slams Mideast specialist for comments; Jönsson: I was referring to Sharon’s military policies during the 1950s. 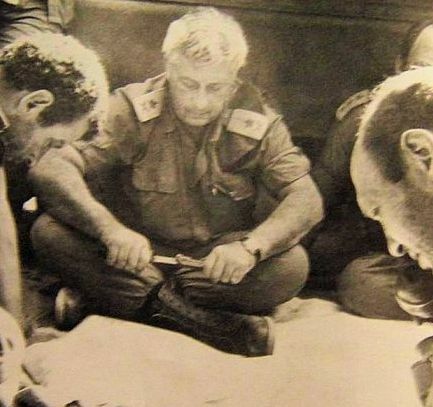 A young Ariel Sharon Photo: REUTERS/Handout . BERLIN – Isaac Bachman, Israel’s ambassador to Sweden, slammed Per Jönsson, an associate editor at the Swedish Institute of International Affairs (UI), on Tuesday for comparing the military policies of the late Ariel Sharon to the Nazi regime. Efraim Zuroff, the chief Nazi-hunter of the Simon Wiesenthal Center and director of its Jerusalem office, weighed in on the row, saying Jönsson’s statements likely come from anti-Semitism, a dislike of the Jewish state or both. Corruption allegations reported earlier Thursday that have shaken Israel’s police force, resulting in the resignation of a top police official, are the result of an investigation by the FBI in the U.S. The connection to an investigation that the FBI has been carrying out into corruption allegations against the popular Rabbi Yoshiyahu Pinto became clearer as a gag order on the case was lifted Thursday. Rabbi Pinto is connected to a case the FBI has been investigating since 2010, against Congressman Michael Grimm of New York. Grimm is under investigation for alleged illegal donations to his 2010 elections campaign. During the campaign Grimm received support from Ofer Biton, who at the time was one of the Rabbi Pinto's top aides. Biton was later accused of having embezzled millions of dollars from Rabbi Pinto’s congregation. Please know that I am among the many who admire and support your efforts on behalf of Israel. As we are aware of the unyielding pressures placed on this country by others, it is reassuring that you stand firm against those who do not understand the precarious situation in the Middle East; some critics of Israel have political interests that are not compatible with our security. I personally applaud your candor in expressing your frustration with U.S. Sec'y of State Kerry's unending pressure for dangerous concessions by Israel in the interest of creating yet another terrorist-apartheid state in the chaotic Middle East. My personal feeling is that it is time for us to take the initiative and tell the regional history of the last one hundred years -starting with San Remo. We simply cannot allow the world to think that our history began in 1948. How many times can we permit the partition of our promised homeland ?!!! No nation can survive with 'settlement blocks'. It is time to establish our legal and historical rights to the land. After Israel withdrew unilaterally from Gaza in 2005, the Palestinians demanded the annexation to Gaza of the Israeli border village of Netiv Ha’asara. In negotiations over the water issue, the Palestinians demand not only the water of the West Bank and Gaza, but also a division of the Israeli aquifer and the Sea of Galilee. They also claim sovereignty over the al-Hama enclave in the Golan Heights because it was part of the British Mandate for Palestine. In September 2011, Mahmoud Abbas told the UN General Assembly that he was applying for UN membership “on the basis of the 1967 borders.” But in the formal Palestinian submission to the UN, there is no reference whatsoever to the 1967 lines but only to Resolution 181 from 1947. Thus, there is considerable, cumulative evidence that the Palestinian leadership is maintaining claims to Israeli territory within the 1967 lines. Are you ready for an experiment? The U.S. government is about to try something never before undertaken, utilizing equipment never before used under these circumstances. Are you ready for the first stab at neutralizing chemical weapons at sea, on a ship not designed for that purpose, using downsized machinery intended for the stability of land-based operations? Are you comfortable? CNN's Christiane Amanpour -- a woman with a limited understanding of sovereignty, it appears -- wrote this week, "No countries wanted to destroy Syria's chemicals on land, so the UN is doing it at sea." No. The UN is not destroying Syrian chemical weapons at sea; the United States is doing it at the behest of the UN. The MV Cape Ray, a transport and humanitarian-response vessel owned by the U.S. Maritime Administration will be the platform. The MV Cape Ray is, generally, an insertion ship -- it has taken surge weapons to troops in Iraq, and humanitarian supplies to Haiti after the earthquake and New England after Hurricane Sandy. Thirty-five American seamen and an unknown number of American military personnel will be aboard the ship, along with chemical weapons experts from various countries. U.S. military personnel will operate the machinery. In January, the gangland shootings of two young Moroccan men in downtown Amsterdam drew renewed attention to the growing problem of violent crime among Muslim immigrants. The two men were gunned down with AK-47 assault rifles in a shooting the mayor of Amsterdam, Eberhard van der Laan, described as reminiscent of "the Wild West." In his milieu, in 1973. The careers of the greatest warriors often remind us of the importance of statesmen with political principles and strategies. It may be Ariel Sharon’s fate to serve, in part, as such a reminder. But if we do not learn to know the world through the prism of his career, we will be shortchanging not only him, but ourselves. Sharon was, as Caroline Glick says, larger than life. Jeff Dunetz calls him “an enigma wrapped in a paradox,” which in some ways he was. He was a leader whose maneuvers sometimes alarmed, even angered, his military superiors and his own people. It is a serious question whether Israel would have survived to this day on her current, sustainable geopolitical basis, if she had not had Ariel Sharon fighting for her in 1956, 1967, and 1973. It is an equally serious question whether his leadership helped or harmed Israel in 1982 and 2005. I have not made any entries or updates to my personal Facebook page for several months, and was not planning on doing so. I am simply too busy, and anyone who wants to reach me can always do so by email or through the Temple Institute's Facebook page. But after what transpired this past week concerning the tiny community of Eish Kodesh, and in the face of the lies that are being perpetrated in the media, I cannot remain silent.Of even greater concern is the complacency and prejudice of the general public, even among those who identify ideologically with the settlement movement. An American-Israeli professor, addressing a counter-conference on the sidelines of a polemical Modern Language Association annual meeting in Chicago, on Thursday said the MLA resolution seeking to sanction Israel was an academic sham promoted by a hypocritical Arab ideologue who actually benefited from the embrace of multiculturalism by Israeli universities that the resolution aims to vilify. Ironically, he said, the main voice behind the MLA resolution is Omar Barghouti, a founding committee member of the Palestinian Campaign for the Academic and Cultural Boycott of Israel, who was born in Qatar, received a Masters in electrical engineering from Columbia University, in New York, and graduate degree in Ethics from Tel Aviv University, where a petition, with 184,000 signatures, was presented to expel him for his work denigrating Israel. But the president of the school refused to do so, on the basis of academic freedom. Prof Troen gave the example of Haifa University, where 3,000 Arabs who grew up under the Palestinian Authority attend the school, a third of the undergraduate student body, with another 1,200 there doing graduate studies. Meanwhile, he said, there are some 3,000 academic programs to help them pass national matriculation, to be able to study at the university level. He listed three major areas where Jews and Arabs work together in academia. In medicine, where 300 Arab doctors are working with Jews in joint research on issues “from cerebral palsy to cancer to drug abuse;” in desertification, where, Israeli academics are world leaders in arid zone irrigation, desalinization and solar power, and work on projects that include many Arabs from those living in the PA and in Israel, as well as Egyptians and Jordanians, and “none of them are interested in boycott;” and in working on new narratives, a more complex issue. 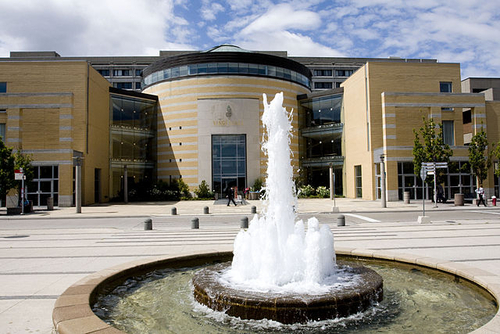 “I think it’s telling that 164 university presidents have signed statements that they do not support the ASA [American Studies Association] boycott of Israel, true academics do not want to see Israel become a pariah state,” he said. Born in Boston, Prof. Troen made aliyah in 1975 before returning to lead the Brandeis program. His permanent home is in Omer, a community outside Beer-Sheva.